It’s impossible not to notice that it’s January and we’re in Minnesota. We have jackets, we have bags, we have hats and mittens and scarves. 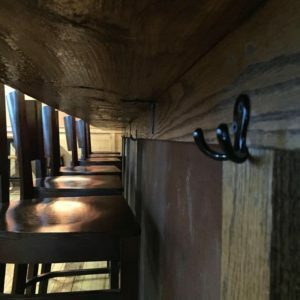 And when you drop into a chair at the bar, who wants to walk back over to a coat rack to organize all your goodies on a coat hook? Nobody, that’s who. You’re already feeling grumpy enough from the cold. 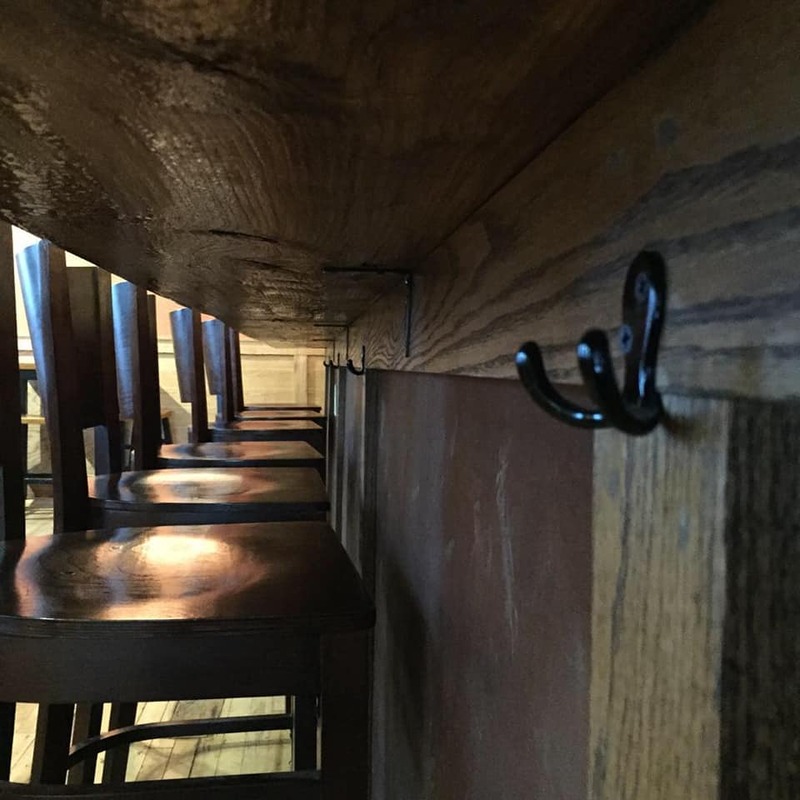 But ahh- you notice there are hooks conveniently located beneath the bar! You don’t even have to move from your seat! Some subtle, little hooks. Big enough to hold your stuff though. And strong enough to hold your leather jacket and a purse full of quarters for the parking meters. But you don’t need those here. Parking’s free on our stretch of Lake Street, and they never enforce the half-hour limit. But I didn’t tell you that. I just wanted to point out that next time you come over, take a second to feel under the bar, and take a load off.